We are masters in providing Industrial Aluminum Fabrication to customers. 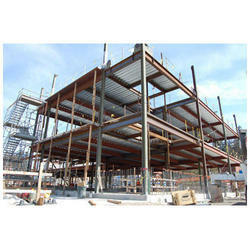 Leveraging on our huge industry understanding and knowledge, we are providing Aluminium Structure Fabrication Service. These provided services are delivered by well-trained professionals as per set industry guidelines. Due to its perfection and promptness, this service is broadly valued by our clients. We are leading fabricator of aluminium from Pune. Owing to the wide experience in this domain, we are instrumental in providing Industrial Aluminum Fabrication. Captivating the skills of our professionals, we are involved in rendering Industrial Aluminium Fabrication.